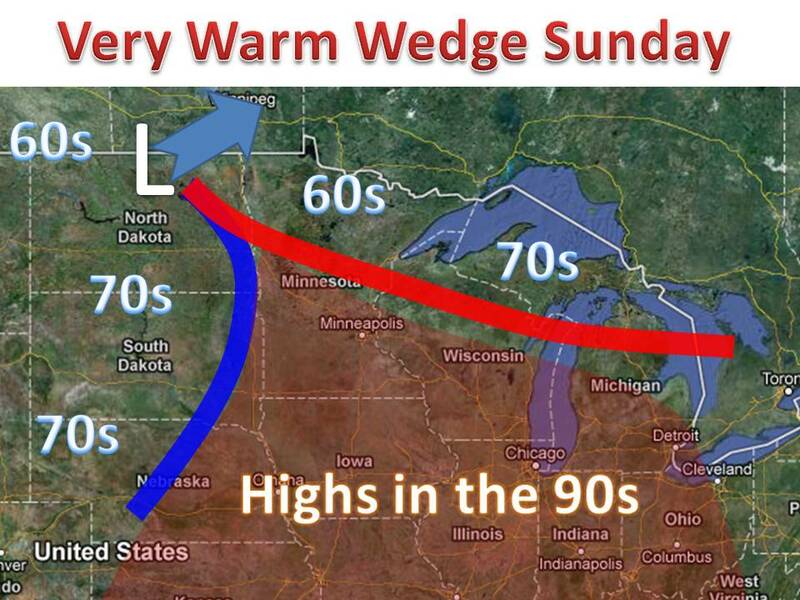 Sunday will be a very warm day for many, likely the warmest of the year. Highs will be in the mid 90s throughout much of the midwest (see map). The warm up is due to a weakening storm system that will eventually become occluded on Sunday. As noted in the map on the left, there will be a very sharp cut off from the hot weather, to the comfortable temps in the 70s. It depends on where this front sets up during the afternoon on sunday as to who will be in the 90s and who will not. Keep it here to midwest weather talk!